The royal wedding of Prince William and Kate Middleton is an occasion tailor-made for the Lifetime movie treatment. Temporarily shelving their current obsession with serial killers and crazed women out for revenge, the network returns to its romantic, sudsy roots with “William & Kate” starring two relatively unknown doppelgangers as the British lovebirds. 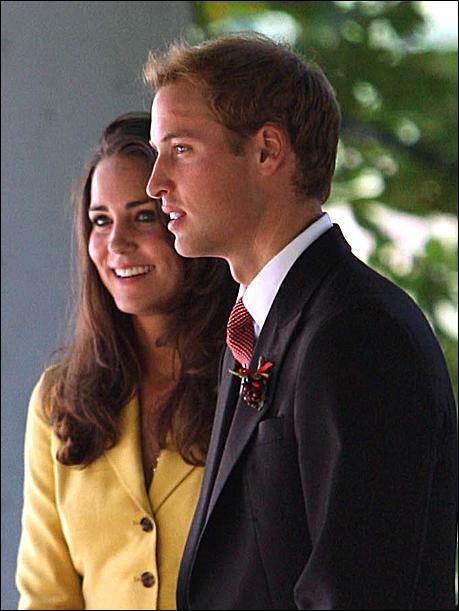 After the couple announced their engagement in November of last year, Konigsberg tried to license the footage of the couple meeting the press at St. James’ palace for the film but “the royals shot it down.” Without access to palace insiders, Konigsberg went about recreating the worlds of William and Kate “with affection” relying on a dialect coach that once worked with the royal family, 72 costume changes for Luddington and a pedigreed supporting cast which includes Ben Cross as Prince Charles and Richard Reid, the son of the real-life Keeper of the Privy Purse, to play William’s club crawling pal, Guy Pelly. Ironically, the film’s emotional high point comes courtesy of the late Princess Diana when, a la the Oscar-winning bio pic “The Queen,” Evers-Swindell’s William is watching a television report that shows news footage of the night Diana died while concluding the formal inquest into her death ruled it an accident. In the scene, William explodes at Prince Charles telling him he did nothing to help his mother adjust to royal life and that he “won’t make the same mistake” by marrying for anything other than love. Konigsberg uses the exchange to effectively underscore how different William’s life is from Charles’ was because William is free to choose woman he loves rather than the ‘most suitable’ candidate. When William whisks Kate off to Africa (which was shot in Los Angeles) to finally propose, Konigsberg says, “We take a liberty that William got down on bended knee” to ask for Kate’s hand in marriage. No matter. For those faithful royal watchers who will undoubtedly be reaching for the Kleenex by then, it’s the ultimate fairy tale ending. This story first appeared in The New York Post this morning.